Corporate Consultant, Generation, Eskom, South Africa, 2006. President, Safe Engineering Services, Canada, 2008. Corporate Consultant, Trans-Africa Projects, South Africa, 2009. Doble Conference, South Africa, Aug 2010. 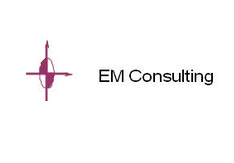 Corporate Consultant – High Voltage Engineering, Eskom, South Africa, Jun 2011. (In response to Square Kilometer Array (SKA Radio Telescope) EMC meeting).
. (From Technical Memorandum issued on the induced voltage on the Ground Wire of the Cahora Bassa HVDC line). “You are unique in your approach – this is why you have so much work”. (From discussing further work at Trans-Africa Projects). “Baie dankie Pieter, jy het uitstekende werk hierop gedoen”. Corporate Consultant – Insulation Co-ordination, Eskom, South Africa, 25 Jan 2012. (From work that I did on the coupling with and corona on the ground wire of the Cahora Bassa HVDC line). (In response to my e-mail send on safety of shaded carports underneath power lines at Koeberg Power Station). “Is jy seker jy is nie dalk ‘n “corrosion expert” nie – Kon dit self nie beter gestel het nie – All angles were covered”. (Feedback on a document that I prepared on the replacement of ground wires with ACSR couterpoises). “Baie dankie, Pieter, soos gewoonlik ‘n baie deegllike dokument wat die verskil duidelik uitspel”. (Feedback on corona performance calculations for conductor of a downed section of the Cahora Bassa HVDC line). (Further discussion on my report proposing a 70 mm gap size for the spark gap on the shield wire insulator of the Cahora Bassa HVDC line). “Thanks for your contribution. It is well done”. “Thanks Pieter – once again you pulled off a masterpiece of a document – really good work and well laid out”. Senior Engineer Distribution, Trans-Africa Projects, South Africa, 7 Feb 2014. (Comment in response to Technical Memorandum submitted on field effects of selected conductor for a downed section of the Cahora Bassa HVDC line). (Comment on my report on safety of a parking lot underneath 2 x double circuit 132 kV power lines). “I would like to thank Dr Pretorius for the remarkable work he produced for Apollo Pluto 400kV loop into Verwoerdburg , more especially given that the request was at short notice”. Senior Engineer, Eskom Line Engineering Services, South Africa, 14 Jul 2014. (Comment following submission of earth electrode design for tower with high tower footing resistance). “We are so pleased with all the excellent work done on this study, and for sure we will contact you for any future Project where we need your support”. “I take this opportunity to congratulate you once more for the job done on this project. As I told you some month ago, It is always a pleasure to work with people so compromised with their work and responsible as you showed to be during the whole process. For us it was also quite a rewarding experience working with you in this project and hope we can collaborate together in the near future”.